When I was about 19 in the mid 90’s in the midst of the Britpop scene, I used to wander the aisles of the Princeton Record Exchange (Princeton, NJ) looking for the latest and greatest up and coming bands. Back in those days record collecting wasn’t as easy as following the links on the “world wide web”. You had to read, read, and read some more. And sometimes, I went with my intuition if an album cover caught my eye. And so it was with the 2nd Strangelove album, Love and Other Demons. A “blind” purchase, if you will – it instantly became a favorite record. There was a connection to the band Suede, but I truly had no idea about that when I bought the album. It has remained a treasured album in my collection for over 22 years since. A perfect mix of hope, melancholy, and a sense of being out of control. I loved it, love it, and will always love it. Singer Patrick Duff in particular spoke to me on a deeper level. Lyrically, I related to the themes of loss, love, and despair. Vocally, he was somewhat indebted to the nuances of Depeche Mode’s David Gahan, as filtered through the glam rock sensibility of Suede’s Brett Anderson. The years passed, the band sobered up, broke up, and Patrick forged his own path as a solo artist. But that path was quite unlike any he had walked before. Patrick’s 1st solo album, 2005’s Luxury Problems, was the last link to his earlier bands (lest you forget the one-off single brilliance of his post Strangelove band, Moon). I liked it, but it felt like he was being pulled in a few different directions. 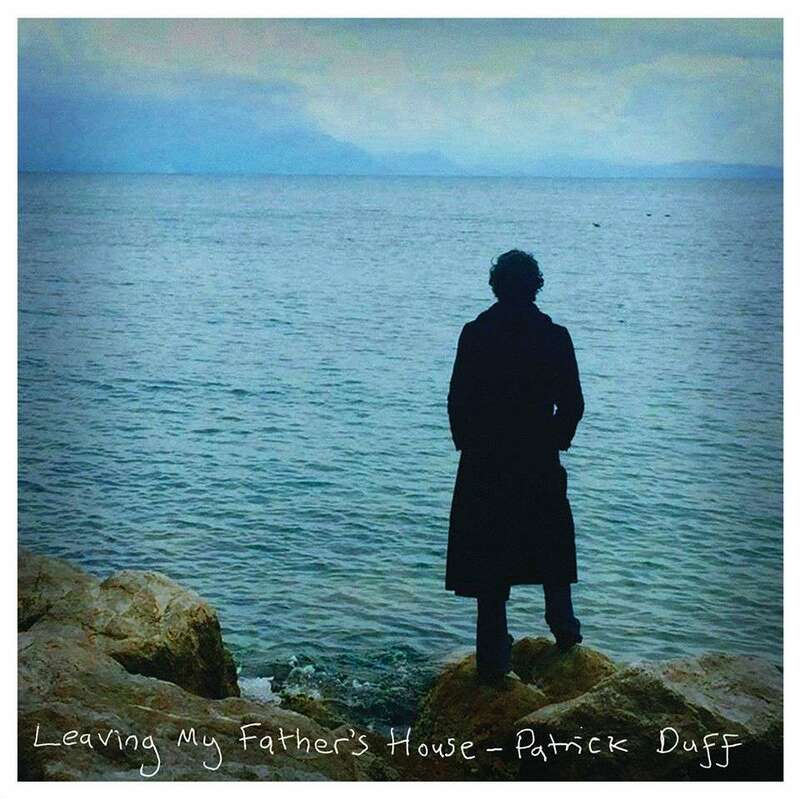 That notion proved true, as subsequent albums showed Patrick Duff reborn as a modern-day Nick Drake for those Britpop kids who were going gray. Bare bones production, mystical leanings, honest sentiments – the records felt like the truest version of Patrick Duff. Not necessarily better than Strangelove – different. That is, until the late 2018 release of Patrick’s solo record Leaving My Father’s House. Not only his finest record, it is one of two 2018 records that I’d call my record of the year (J. Mascis gets the other nod). Fuller production than his other solo records, yet still worlds away from the glam Britpop of Strangelove, this is Patrick Duff at his finest. The album clocks in at 11 songs – each one of them brilliant in their own way. Not one duff (ha ha ha) track here. But first off, that album cover – I can’t tell you how many times I’ve stared at the sea in just the same manner as Patrick is pictured here. I wonder what he was thinking about? I instantly loved it before I had heard a note. In fact, I was so excited for this album, I purchased the digital download to listen to while I waited for my vinyl copy to arrive from England. I’d urge interested readers to pick up the physical copy – the vinyl comes with a lyric sheet, personal pictures, and an info sheet. So how about some highlights, eh? Side 1 starts with the hushed yet jaunty Yesterday’s Man. Straight away, it feels more pop inclined than Patrick has sounded in over a decade – yet, it has that mystical quality. Lyrically, I can relate: “You keep calling me / But I’m not yesterday’s man”. Brian Jones is an ode to the legendary Rolling Stones guitarist who passed away at an early age in the 60’s. Again, we are dealing in mystical, hushed pop terrain. The chorus “I’m getting closer to Brian Jones oh yeah” comes off as a double-edged sword to me – is it the accolades Brian Jones received or the path of destruction that eventually ended his life? Patrick’s singing is sweet & empathetic here, truly touching. Little Rose has a lullaby feel to it, with lyrics that are rich with imagery. “She flew upon a dragonfly / Up into the winter’s sky”. Brilliant. The chorus is one of longing and joy, and again features truly beautiful vocals. “Oh Rose Marie / You have set my soul free / To walk across the sea / And the cold winds blow”. My favorite lyric on the whole album is also on this song “I do my best to live my life / And I rise above the pain”. Side 2 opens with For All I Know – probably the most rock ‘n roll song on the whole record. For Patrick Duff in 2018 that means layering acoustic guitars and calling on an old friend from Strangelove and Suede to contribute some memorable licks and sound f/x. Alex Lee works well with Patrick, and this song is a testament to that 25+ year relationship. Maria is a tale of love, lust, heartbreak, and life. It is a song spun in the grand tradition of folk music, with heartbreaking melancholy evident in Patrick’s vocals. “My love is young with a beautiful face / I feel alive with the thrill of the chase”…and later “I saw our love affair was over / And I was just another man…I saw myself a-getting older and older”. In the end he pleads for forgiveness from his wife & family, while his heart is being torn apart. Sad stuff, yet…brilliant. Leaving My Father’s House ends the album on a somewhat spiritual / mystical note. Hushed & acoustic, this finds our narrator following a Holy Man in search of truth. And as the song ends, we find the narrator’s thirst has not been quenched. As listeners, we can only hope that the same is true of Patrick Duff’s musical journey – I cannot wait to see what he comes up with next. The album is available from Environmental Studies in all formats. You can also follow Patrick Duff here. I’d also recommend diving into his back catalogue – solo, Strangelove, Moon, and various collaborations. Highly, highly recommended. Four years ago I was honoured to have Patrick play in my back garden for my 50th birthday. He played two sets. The 1st hour he played songs from the Visions of the Underworld album which I love and still play to this day. The 2nd hour after a 30mins break he played songs from his Strangelove days, songs that I had chosen myself. It was all a bit surreal as my wife had to cook him lunch. All in all it was a great experience for myself and the guests who were all fans of Strangelove back in the day.